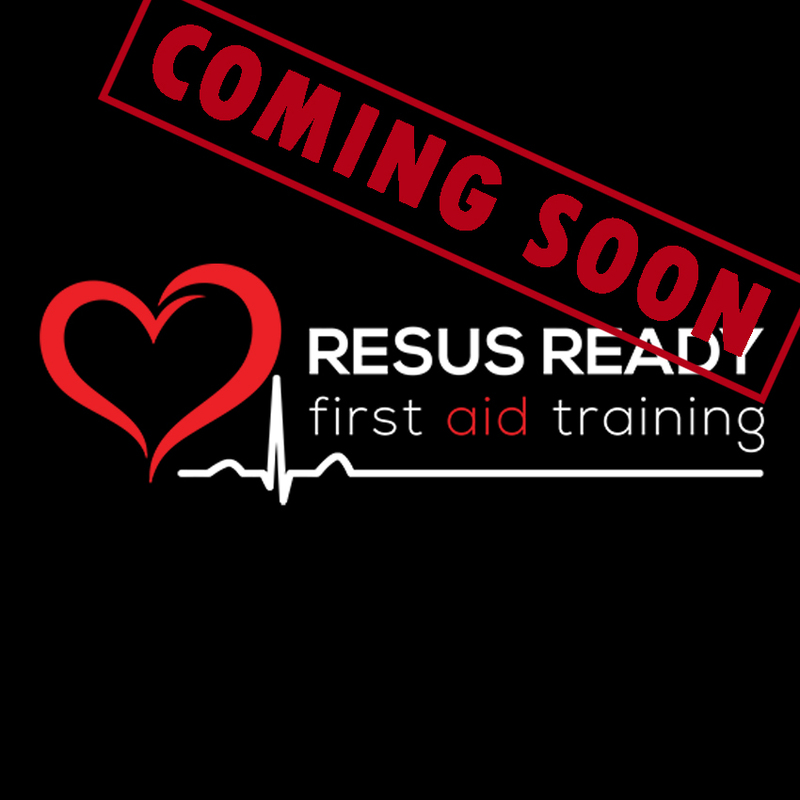 Resus Ready specialises in onsite first aid training at your business or home. All of our classes are designed around interactive training so you remember what you learn. Our manikins have inbuilt sensors to ensure you have the best technique in providing CPR. We use simulated props to assist with first aid training. (some courses require pre-learning before class but we provide you will all the information). Learn to care for the conscious and unconscious person until help arrives. Identify dangers, check response, send for help, assess airway, breathing, provide compressions and follow the prompts of an AED. Is suitable for a first time participant or refresher class. 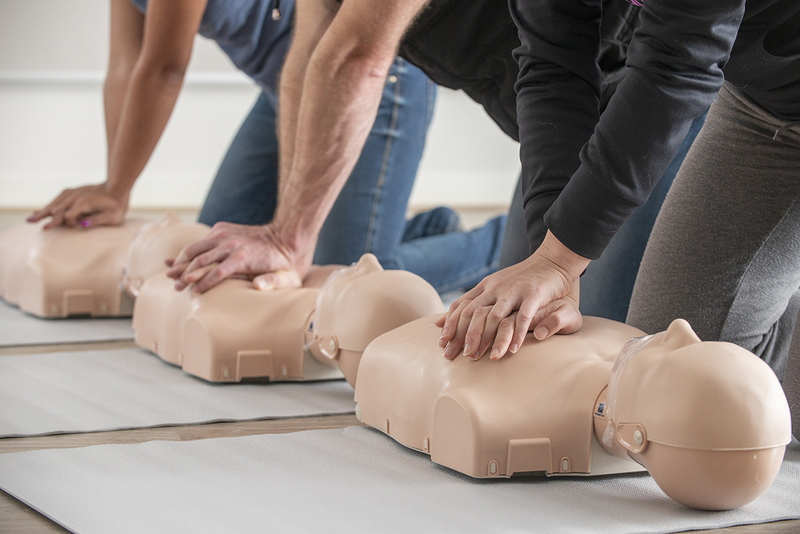 Learn the skills of providing effective CPR on adult and infant manikins and use an Automated External Defibrillator (AED). Learn how to manage an asthma and anaphylactic reaction, control bleeding, care for bites, fractures, sprains and strains as well as shock and much more. 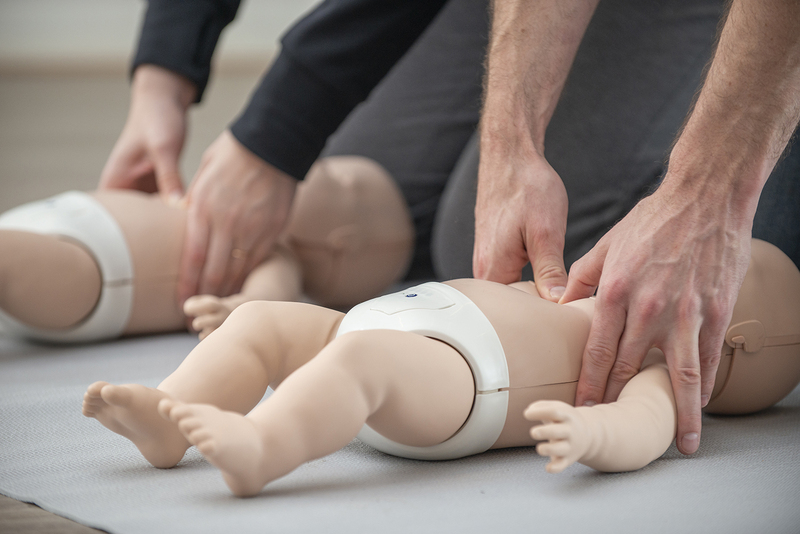 Learn the skills of providing effective CPR on adult, child and infant manikins and use an Automated External Defibrillator (AED) with an added focus on children and infants. Learn how to manage an asthma and anaphylactic reaction in a childcare/workplace setting, report incidents in the workplace and debriefing with children. 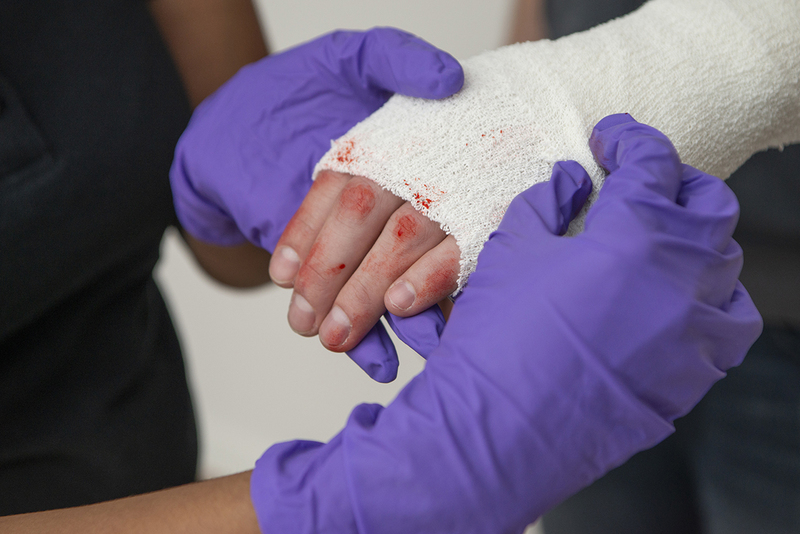 Learn to control bleeding, care for bites, fractures, sprains and strains as well as shock and much more. Ideal for staff from early learning and child care centers, carers, school teachers, sporting clubs and parents and family with children. 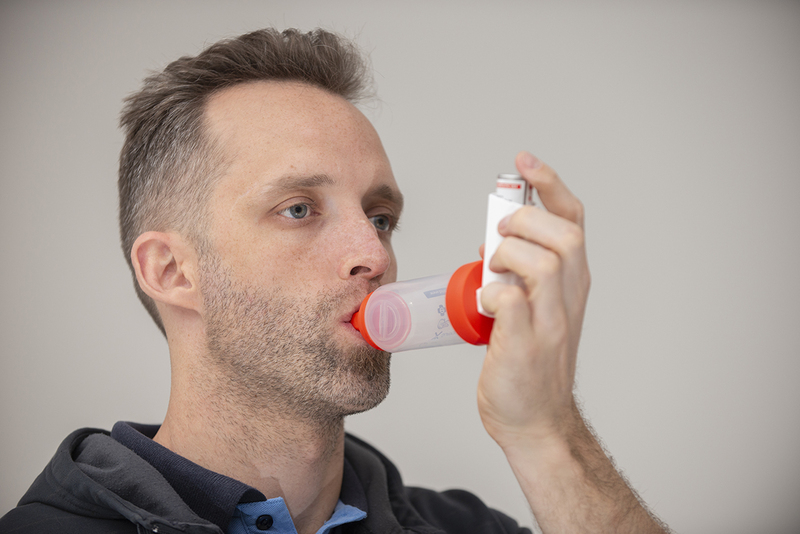 Learn how to manage an asthma reaction , use a metered dosed inhaler (MDI) puffer with and without a spacer. Learn to identify asthma triggers and severity of attack, report on incidents in the workplace, conduct a risk assessment and review workplace asthma management plan. Is suitable as a first time participant or refresher class. 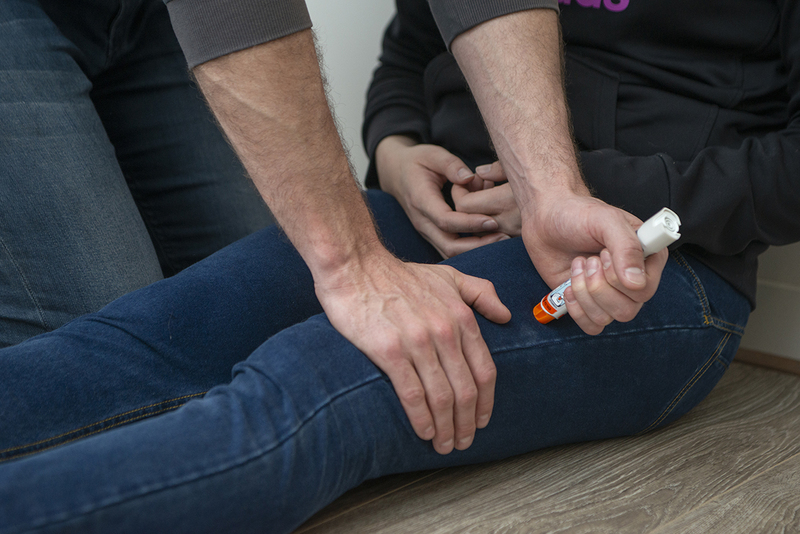 Learn how to manage an anaphylactic reaction and use a adrenaline auto injector (epi-pen). Learn to identify allergy triggers and severity of attack, report on incidents in the workplace, conduct a risk assessment and review workplace anaphylaxis management plan. Learn how to manage asthma and anaphylactic reactions. Learn to use a metered dosed inhaler (MDI) puffer with and without a spacer. Learn to identify asthma and allergy triggers and severity of attack, report on incidents in the workplace, conduct a risk assessment and review workplace asthma management plan. 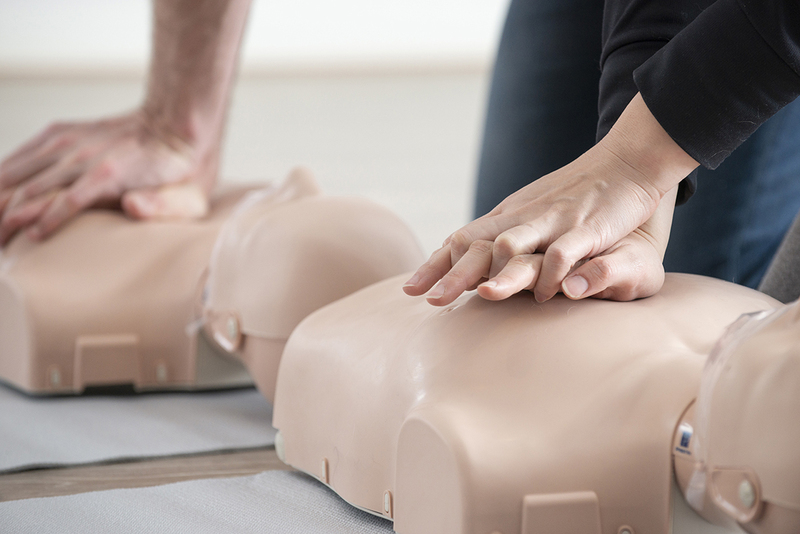 Ideal refresher course for industries that require yearly renewal of CPR and Anaphylaxis certification. This is a non accredited course designed for new parents and grandparents which covers areas in first aid relevant to babies and children. Learn how to perform CPR, use an Automated External Defibrillator (AED), manage asthma and anaphylaxis, control bleeding, care for burns. Learn management of choking, near drowning experience and accidental overdoses and poisons and much more. Onsite training anywhere in Melbourne. From Melbourne's inner city to the outskirts of the metropolitan region. You provide the location, we provide the training.